Ulsan Online is a website and facebook group that is committed to helping all communities in Ulsan. We are the bridge between both Korean and expat communities as well. Ulsan Online works with the Ulsan Police service as a part of their Ulsan Leaders Club and has also won an award in 2014 from the city of Ulsan for our passion in promoting tourism in Ulsan. Our goal is to provide information in English to the various communities around Ulsan. As a community we try to help everyone so that their time in Ulsan is the best that it can be. We strive to make sure that people enjoys their time in Ulsan and ensure positive memories of their time here. Ulsan Online is not a place for anyone to promote themselves for their own gain or profit. It is not a place that is tied to any one particular group of people, race, religion, or belief system. The only thing that we try to make sure is that our posts and articles are in the English language as that is a commonality between many of our group members. The Ulsan Online community is also not a place to debate moral, ethical or political topics. We reserve the right to delete posts from our facebook page should they be inflammatory or insulting in nature. It is also up to the administrators of that page to decide who gets banned and what gets deleted. Why can’t my business post on the Ulsan Online facebook page for free? Ulsan Online is supported by selling advertising packages to businesses in and around the community. We try to make sure that these businesses are foreigner-friendly and are seeking to help the community and not just profit from them. We see our advertisers as partners in this community and try to make sure that they benefit by getting exclusive access to the 8,000+ members of our facebook group. By advertising with us, you are ensuring that the wealth of information contained on the site is always available for the people of Ulsan. Why do some events get to posted on the facebook group for free and others have to pay? As a rule Ulsan Online allows for churches/ religious community groups of any denomination to post for free. We are not a religious group but we feel that these churches play a crucial role in helping foreigners adjust to their new life as well as provide help for those in need. Local groups who donate their time and money are also allowed to post for free but they must donate the entire proceeds to be considered. Organizations like We-Hope are a prime example of the standard and dedication we are looking for in these groups. If your group “sometimes” or “usually” donates some money to “a charity” but the vast majority of the income made from your event goes to a local business or the organizer’s pockets then you are not a charitable event by our standards. The reason for this is that Ulsan Online actually costs money to keep online. The editors and administrators put in a lot of time and effort to keep the site running and spam-free. This commitment to providing an active community and a great source of information on the community is what enabled the Ulsan Online group to grow larger than many other online expat communities. However, we still need support from the community to continue to grow. That means that profit-based groups or businesses have to pay to advertise and promote themselves on our facebook page and website. If you are active in the community and are actually helping us help the people of Ulsan, arrangements can be made. However, if your group, business, or event only wants to advertise to bring more people to you, then you are a profit-based business in our eyes and thus, subject to our advertising policy. Why does it cost so much to advertise on Ulsan Online? The reality is that compared to other expat sites and publications we are not that expensive. However, we have cover our site fees and upgrades coming later on in the year. In order to cover these costs we have chosen a rate that is well below that of other expat sites in Korea but allows us to pay our expenses and upgrades. With regards to the value of the advertising package, if you include the fact that our site is the only expat site for Ulsan and thus gets hundreds if not thousands of hits a day and our facebook page has over 9000 members, then you can see the value right there. As an advertiser you get an ad on the front page, inclusion in our monthly email and exclusive access to our facebook community. I am just a teacher, why can’t I post my job? Recently, we added a job board as a further service to the community. As a way to help support the site we attempted to charge a small 5,000 fee much like most ESL job boards. However, despite the fact that the fee was relatively small it failed miserably. So send us an email and we can post it for you. However, if you are a recruiter, it probably means that you simply don’t want to pay and we will not post recruiter jobs for free. The reason being that many of these companies make about $1000 per teacher they place in a school. Thus, they are utilizing free posts on facebook to make more money. If you are not willing to support Ulsan Online then you cannot post on our facebook page. So, with respect to our rules, please refrain from posting to the facebook page without contacting us or paying for a job post first. If your post was deleted from the facebook forum it means that it violated the rules of the group. The moderators try their best to remove posts that break the rules or are argumentative in nature. If you are looking for a debate, there is a separate group for that. The posts on our facebook group are not your property so do not act like we stole your ice cream or “demand an explanation” if your post gets deleted. Also, please note that we (the staff and moderators) reserve the right to delete any content that we see fit. Demanding to know the reason in a negative manner will not get you very far. Simply put, if your post got deleted it was for a good reason and if your post is so important to you, please contact us and we’d be happy to explain things. However, please understand that just because you are a member of the Ulsan Online facebook group, does not give you the right to post anything that you want or cast judgement over what should get posted. This is a community group that is primarily “g-rated” and English speaking. We also try to stay as non-political as we can. So if you are wanting to post something that you know not everyone will agree with and that is not really helpful to the group, then there are other facebook groups that would love your content but, not ours. Why are there some out-of-date or inaccurate posts? Things change at light speed in Ulsan and we often don’t know when a particular restaurant or business goes out of business or moves. We rely on our community to make sure that these posts are up-to-date by informing us when some posts are out-of-date or wrong. By drawing from the thousands of people in our facebook groups we can try and keep track. However, there are times when a post just gets forgotten about and if there are inaccuracies, please let us know. **We are fully aware that some of the maps and bus schedules are not 100% accurate and we are working on that. One of the issues that occurred when the site transferred hands so many times is that some of the codes got lost. We are working on revamping the site with regards to the bus schedule. This is another reason why the fees for jobs and advertising are so important. I cannot recode the site myself. Thus, I need to pay for plugins and designers to do the work. So to recoup some of the money we look towards advertising and job ads. If you are really stuck, there are a number of bus apps that you can download directly to your phone. 다음은 우리 그룹의 게시 지침을 구성합니다. 이러한 내용을 이해하는 데 어려움이있는 경우 직접 문의하십시오. 사용자 행동이나 의견에 대해 궁금한 점이 있으시면 직접 보내주십시오. To maintain a safe, family-friendly environment in our group, we ask our members to limit their comments to courteous and respectful language at all times. Any posts that include sexually explicit comments, hate-speech, prejudiced remarks, calls for boycott of any business/organization, threats or profanity will be subject to removal. We please also ask for your support by notifying our admins or reporting posts/comments of anything you feel falls within this scope and is a concern to you. Please understand that we will ensure all reports are reviewed but we will decide how to proceed (or not) based on the above. Ultimately, it will be OUR judgement on the above (not yours) and we ask that you respectfully understand this. Keep your posts and comments relevant and helpful to expats in Ulsan and in English. There are many things going on in the country and there are specific groups for those. Thus, if your post has no relevance to Ulsan, it may not get posted. English is the main language used as it is the most common language used among the expat community in Ulsan. On the whole, the posts and comments should not be promotional in nature, however, we will consider on a case by case basis if you message the admins in advance and you have paid the advertising fee. Businesses and services that offer specific promotions most certainly will have to pay for the fee and we encourage them to visit http://www.ulsanonline.com/advertising/ and learn more about or packages. Posts that are for personal gain, self promotion, side hustles, directing traffic to your blog or youtube channel, *events at bars or clubs that are not advertising with Ulsan Online, will be removed mercilessly. We reserve the right to reject any post for any reason. Survey requests, polls or requests for research, donations, *charitable causes as well as any spam, will also be subject to removal. 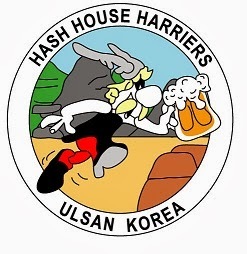 *Events that are held at bars or establishments that are not advertising with Ulsan Online will not be accepted. This even includes events that are making a “charitable donation” as a means to get around paying the advertising fee. If you want to promote your event, you must pay the fee and help support the site that you are using to promote your event. If you want to discuss other arrangements you can kindly email us at mail@ulsanonline.com and we can discuss the event. However, our first priority is to the businesses that chose to advertise with Ulsan Online and therefor support the upkeep of the website. It is not our responsibility to help you turn a profit, help out a business for your own personal gain or interests, or drive traffic to your blog/group/site. We get a lot of people trying to use the group to promote events that ultimately only help themselves and typically those individuals are the least active in the community. If you are an active member of the community and are looking for some help with an event, Ulsan Online is more than willing to hear you out IF you email us and make some arrangements that are mutually beneficial. Do not mistake this as an open invitation to get free advertising. What we are seeking is to open a dialogue with you. Our advertisers have supported Ulsan Online for a long and they come first. If you have an idea that you want to discuss with us, we would be more than happy to hear it. Too often, events are simply trying to help themselves and care little about the group or the site that they are posting to. By charging a fee, this separates the serious posts from the blatant spam. *Charitable causes must be for registered charities or NGO’s like We-HOPE. Also 100% of any money made MUST be donated to the charity. If you are paying a rental fee for the event, taking a table fee or cover charge from participants and THEN donating a couple of bucks to a charity with no proof of doing so, then your event is not for charity, in our opinion. Charity events, donation drives, church bingo nights etc. must be cleared and discussed with our admin before posting and Ulsan Online must be recognized at the event as well. There are a number of dedicated groups for jobs and used goods in Ulsan and we would like to keep it that way. This frees up space in our group and keeps everything more organized. It is much easier to find a job in a job group as opposed to sifting through 20 posts about which days Costco is closed to find a single job post. If you are a recruiter taking advantage of free posts on facebook, you may contact us about advertising and we have space on our site for that. However, you cannot just post to our group page for free and then make money off of the schools or the teachers that you place. As a means to inject some proprietary content exclusive to Ulsan, we will occasionally post content from the host site Ulsan Online that may be of benefit to the Ulsan expat. If any member wishes to contribute an article to the Ulsan Online Site, you may contact mail@ulsanonline.com . The site serves as a warehouse of information (past and present) as well as it has maps and a calendar for events happening in Ulsan. With regards to restaurant reviews, we will occasionally post reviews of local restaurants that are of some interest to the local expat community. This is not “free advertsing” but a non-biased review of a restaurant that is unique to the community. Any business that is looking to promote their restaurant with a custom-made article on ulsanonline.com can contact us at the above email address to discuss packages and pricing. Users who fail to abide by the above will be issued a public or private warning to give them a chance to correct their behaviour as a courtesy, in case of any misunderstanding of our rules here. Once the warning has been issued, we reserve the right to temporarily mute, remove or outright ban the user from the community in case of future incidents. Again, while we’d love to debate why you’ve been muted or banned, in serious cases we will make a judgement call without your input. Threats, foul language, or violence will not persuade us to let you back in. Berating the admins or questioning the motives behind any disciplinary matter will also not help your case. If you get banned then it is a serious matter and not one that is taken lightly. We are not simply scrolling down the feeds looking for people to ban. Users may and will get banned for breaking any of the above mentioned rules. Typically, those who have been banned have been users who have ignored the rules and have tried to advertise possible scams, users who have threatened other users both online and around Ulsan, and those who have PM’d users and sexually harassed them. Once more, we do not take banning lightly and we investigate each and every case before banning a user. Your continued participation and posting in this group will indicate that you are in agreeance with all that is mentioned here, but also that mods/admins reserve the right to bring proper public attention to problematic behavior of repeat offenders of our rules. This may include tagging certain members in posts about the issues. If you get tagged and want to discuss the issue then by all means PM us and we can chat about it. Note that our reasoning for this is not based on ego, but for the welfare of the expat community living in Ulsan. Please also note that we heavily incorporate community feedback about users when making these decisions and we strive to avoid making these decisions solely based on admin perspective. If you feel uncomfortable with a user who you feel doesn’t belong, you need to tell us. Always keep in mind that the responsibility of ensuring a peaceful and positive community environment largely lies with what you are willing to tolerate and inform us about as a member of the Ulsan Online community. Not to mention, that we are 100% more likely to help you when you are calm and rational. Making threats, demanding action, or acting as if your post is worth a million dollars and that we took it down for NO REASON will not get us to change our minds any faster. Nor will we be willing to accept YOUR interpretation of OUR rules unless there has been a very blatant error on our part. As mentioned, we’re open to suggestions on making these terms clearer or more refined.